Composer Austin Wintory joins the SoundCast crew and talks about his latest projects: MAJID and JOURNEY. Richard Buxton also joins the cast for the first time. 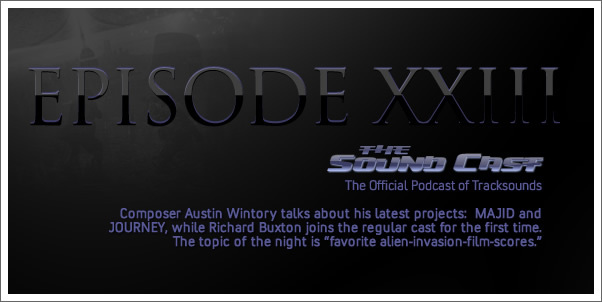 They all discuss their favorite Alien invasion film scores, including their thoughts on the most recent entry into this sub-genre, BATTLE: LOS ANGELES by Brian Tyler. 00:00 — The Aliens Have Arrived!